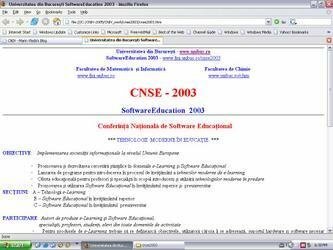 This article presents a history of Computing Center of the University of Bucharest (CCUB) and its role in the founding of informatics in Romania. *** Article reflects the views only of the author, and his views reflect any use of the information it contains. *** Image: Prof. Văduva at Rectors Gallery (35 portraits on paper by artist Daniela Chirion, and are exposed in the hall of the Faculty of Law, Rector's Palace) - University of Bucharest, 150 years of existence: July 16, 2014. Articolul reflectă numai punctul de vedere al autorului şi opiniile sale reflectă eventuala utilizare a informaţiilor pe care le conţine. Reproducerea integrală sau parţială, multiplicarea prin orice mijloace și sub orice formă, transpunerea în format electronic, punerea la dispoziţia publică, inclusiv prin Internet sau prin reţele de calculatoare, stocarea permanentă sau temporară pe dispozitive sau sisteme cu posibilitatea recuperării informaţiilor, cu scop comercial sau gratuit, precum și alte fapte similare săvârșite fără permisiunea deţinătorului copyrightului reprezintă o încălcare a legislaţiei cu privire la protecţia proprietăţii intelectuale și se pedepsesc penal și/sau civil în conformitate cu legile în vigoare. During the first half of the fifties decade, Acad. Grigore C. Moisil, as a true pioneer, visualized the future of computers in society . Even then, he realized the importance of mathematical logic and theory of automata for designing computers. In 1959, inspired by the International Congress of Romanian Mathematicians held in Bucharest (in 1956), Acad. Grigore C. Moisil (1906-1973), Professor of Algebra at the Faculty of Mathematics and Physics, founded, for the first time in the country, the Specialization of Computing Machines in the Department of Mathematics of the faculty [5,7]. The program of this specialization was extended for the last two years (from five!) of studies. At the beginning, the curriculum was mostly theoretical but in time the staff used the experience of the Institute of Nuclear Physics (IFA), which had built-up the first computing machines CIFA (of the first to two generation). 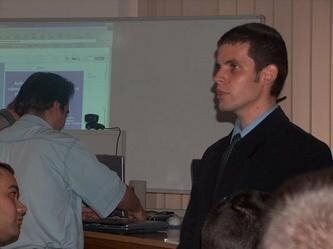 Teachers were Prof. Paul Constantinescu and Constantin P. Popovici and the first generation of the about 10 graduates of the specialization in Computer Science were enrolled mainly in Bucharest, in the IFA or in some research institutes specialized in electronics or automation. Apart from the University of Bucharest, some other academic or research bodies of Romania, such as Institute of Computing in Cluj, Polytechnic Institutes of Timisoara and Bucharest, Institute of Nuclear Physics at Magurele and later Academy of Economic Studies (ASE) in Bucharest or the Central Institute of Informatics, were also the pioneering units which started the development of Computer Science in Romania. In order to stimulate the development of research in Computer Science, in February 1962, Acad. 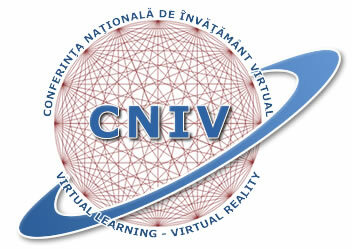 Moisil founded the Computing Center of the University of Bucharest (CCUB) [1,2,4,6,7], the first one in the country. The initial petition written by hand by Moisil, was approved during a short visit of his, by the Secretary of Education Prof. Eng. 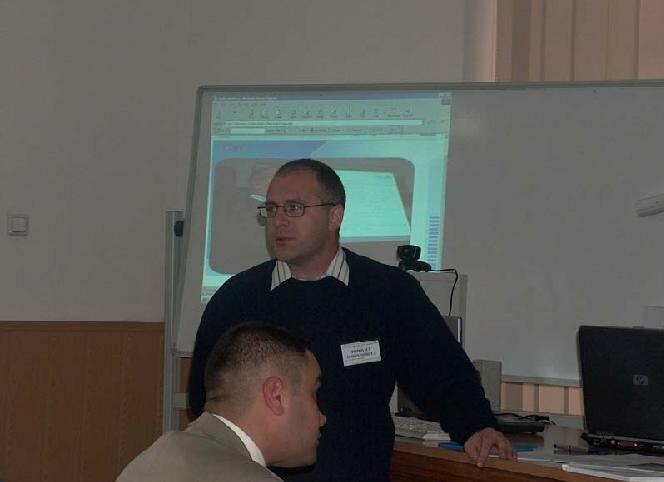 Stefan Balan, a former colleague while he was teaching in the Polytechnics of Bucharest. As a formal body, the CCUB was a Laboratory of the chair of Algebra, lead by Moisil; of course, he was also the Director of the Center. The initial location of the Center was in the Negustori Street 9, in a small building where a small Library, used by the students who were living in a student hostel from the neighborhood, also existed. The staff of CCUB was numerically small at the beginning; a few graduates from the specialization Computing Machines and two engineers (in total 5 researchers and 2 technicians) were the first members of CCUB. Prof. Paul Constantinescu was Deputy Director. At that time the only computing devices were two small analog machines of the type HEATHKT, brought by Prof. Mircea Maliţa from the United States, while he was in a diplomatic mission at the United Nations in New York, by the end of the fifties (See ). Of course these equipments became museum objects. In 1963, the location of the Computing Center was moved to Mircea Vulcănescu Street 125 (former Ştefan Furtuna 125). Here the amount of staff increased up to 15 (including 3 technicians) until 1968. In 1963 were installed here, an analog computer MEDA-20 and during the next two years, two other analog computers MEDA-40TA and MEDA-41TC, all these equipments beeing produced in Chechoslovakia. A progress was achieved by the end of 1964, when the Center received the digital CIFA-3 computer, produced in the mentioned IFA. In 1966, two important events increased the quality of work in CCUB. First we mention the International Colloquium "Computing Techniques and Computers" organized by the University of Bucharest, Academy of Economic Studies and Polytechnics of Bucharest, with the financial sup¬port of the Romanian Government. To the succes of this meeting, highly contributed the young staff of the Center. During that time I was a researcher in the Center of Mathematical Statistics-CSM of the Academy of science, and by request of Acad. Moisil and Acad. Nicolae Teodorescu I helped the organization of this Colloquium, having a good cooperation with the team of CCUB. 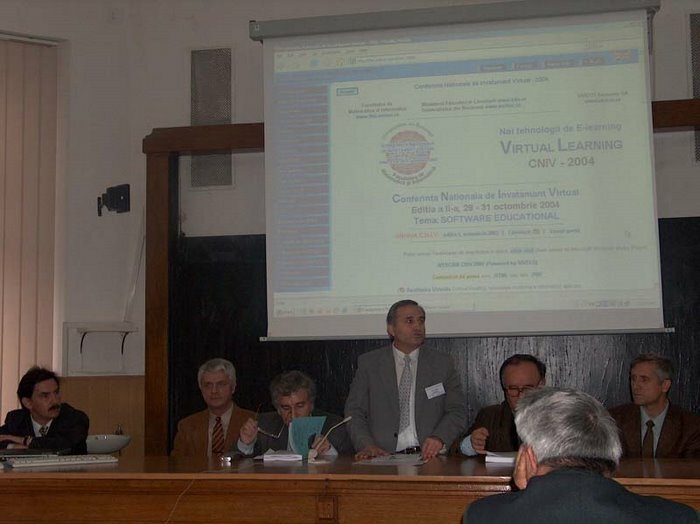 This Colloquium brought in Bucharest new experience in computer science from about 50 participants from both eastern and western countries. A second event which contributed to increasing scientific information in the Center, was the six weeks exhibition of the computer ODRA, brought from Poland, which that at time was the prototype of two generation computer met by the staff of the Center. With the equipments of CCUB, at the beginning, it was not possible to achieve high performance. However, stimulated by Moisil, interesting problems related to natural language translation, programming languages like "Algol 60", musical composition by computer and of course fundamental problems related to the theory of automata, were studied. The latter topic situated the University of Bucharest on the third place in the world after the Soviet Union and Czechoslovakia. (See ). As concerns solving practical problems the staff tried to use CIFA-3 in this respect; when trying to solve a real linear programming problem which was custom at that time, after a half an hour of work, the computer stopped because the frequency of the electric power was not stable. The computer was very sensitive with respect to frequency. Nevertheless, these computer equipments played a great role in improving experience in computer programming. During that time the programming of computers was done in low level languages, i. e. languages closed to machine code. A big qualitative step in the evolution of the Center was taken in January 1968, when the Eastern Europe Branch of IBM Company, located at that time in Vienna, organized an exhibition in Romania. Due the prestige of Acad. Moisil, the IBM 360/30 computer, then a very performing third generation computer, was installed in a specially designed building of CCUB, in Street Mircea Vulcanescu 125, near by the old building of the staff offices. During more than six months time, the IBM Company organized courses of two or three weeks to initiate the staff in computer programming (FORTRAN, COBOL and Assembler languages) and in using the DOS operating system (short from Disk Operating System) based on using magnetic disks, which was and still is fashionable. In opposition with the TOS=Tape Operated System, based on magnetic tapes, developed in the sixties by the British Company ICT= International Computers and Tabulators. Such a computer, also of the third generation, was bought by the Romanian Government in 1966, to process the census performed in that year. This ICT computer was not open to a large public as was the IBM 360/30 from CCUB. Apart from the staff of the Center several other people from Bucharest or from other cities participated in these courses, such that the experience (and of course the advantage) of using a third generation computer was distributed in the family of computer science workers. The cost of the whole installation was 638.000 USD. This was a high price because computers were considered high technology, prohibited for countries over the iron cur tine, as was Romania in that time!. Let us underline that Government Commission played 2/3 from the cost, the Minister of Education 1/3 of the cost, while the Minister of Agriculture played nothing at that moment, being obliged to provide later the money for extending the hardware configuration (e.g. magnetic disks, printers, punching cards machines and so on). The administration of the IBM Computer was allocated to CCUB . A detailed report on the initial activity of the Center is found in the papers [1, 2]. 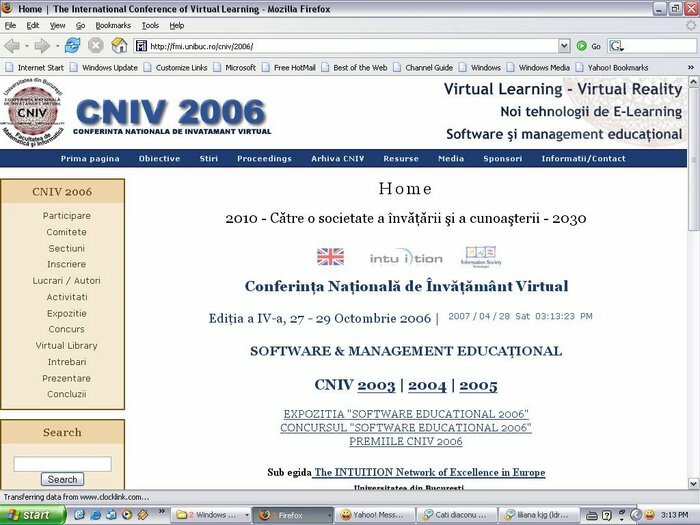 Note that the Center organized in one year many free courses to propagate computer programming among various potential users. Note also that in 1969 Moisil founded in the Faculty of Mathematics the Chair of Informatics, the first one in the country. In 1968, the Romanian Government started to develop its own computer industry. At the beginning of 1969, some computers IRIS 50 together with corresponding technology, were bought from the French Company CII=Companies Internationale d'Informatique with the aim to pro-duce these computers in Romania. Many new computing centers were founded and an extensive activity to train users of modern computers was developed. CCUB did not have enough staff, but nevertheless, many training courses were organized. During the summer of 1969, the Government Commission of Informatics (in fact a political body!) organized an extended meeting with all leaders of existing centers in the country. Maybe, due to some unknown reason, Moisil he was strongly criticized for not using efficiently the IBM computer. As Moisil was very proud, he announced his resignation. Perhaps, he thought that the Dean of the Faculty, his lifetime friend, Acad. Nicolae Theodorescu, will not approve his resignation. But by a political demand, Teodorescu approved it. As the resigned, Moisil was very angry. The management of the Center was then done honorifically by Theodorescu, until the 1-st of February 1970, when the Government Commission asked me to be the Deputy Director of CCUB. In fact, I was obliged to do this, because I was a scholar of the Government in 1968-1969 at Manchester University (U.K.) where I got a M.Sc. Degree in Automatic Computation. Before I was proposed for this job, the Government Commission tried to appoint at CCUB an engineer as Deputy Director, but the Council of the Faculty did not accept, preferring a mathematician. The first thing I did being nominated at CCUB, was an appointment with Acad. Moisil. During an interesting talk late one evening at his home (Moisil used to work mainly during the night and the last half of a day), I got a warm advice on how to act as a good research manager of the Center. In February 1970, the staff of the Center consisted of 16 programmers and analysts and 6 technicians or junior operators and programmers. 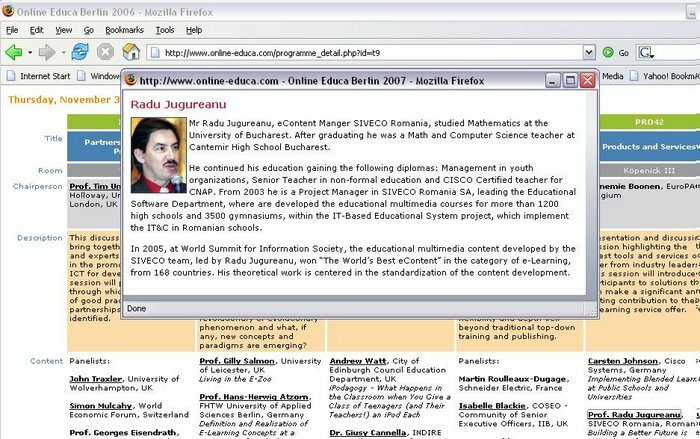 I must underline that, among auxiliary programmers, two were produced by a postsecondary school organized in Bucharest by Moisil (during 1968/69) and they proved to be the best auxiliary staff in computer activity. Unfor-tunately, by unknown reason, that school was stopped after one year. In 1972 Prof. Dragos Vaida and myself designed (at the request of the Minister of Education Prof. Mircea Malita and of Prof. Moisil) a curriculum for the Section of Informatics which was created in all five Faculties of Mathematics of Romania, staring October 1972. 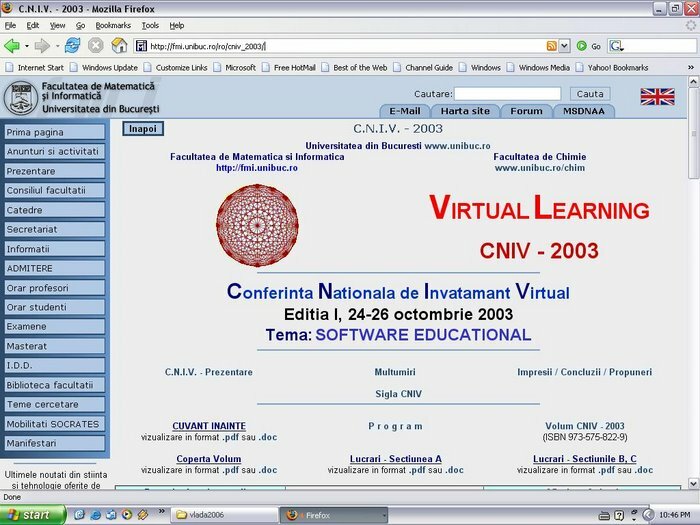 This curriculum, which consisted among others, in Basic knowledge on computers, Programming and formal languages, Operating systems, Data bases, Compiling techniques, is still the main frame for the informatics section even today. The staff of CCUB has continuously given lectures for students in many topics, but mainly in computer programming. Nevertheless, the staff was totally insufficient for an efficient computer use. The first thing I have done was to organize the computer activity in three shifts, combining our staff with Minister of Agriculture staff. The Minister of Agriculture bought further auxiliary equipments as punching machines, printers, terminals and some other devices. I tried to increase the staff, but as CCUB was a Laboratory, the first step was to create a legal framework for selecting new qualified staff. Therefore, with the help of Government Commission, I initiated the Government Law 1948/31.12.1970, which was approved, in this manner increasing the legal level of CCUB, with the possibility of extending the number of staff up to 125 persons of different qualifications. Even in the autumn of 1970, with the help of some experienced colleagues, I organized weekly seminars, asking all qualified staff to give talks about the news they learned and about their work results. 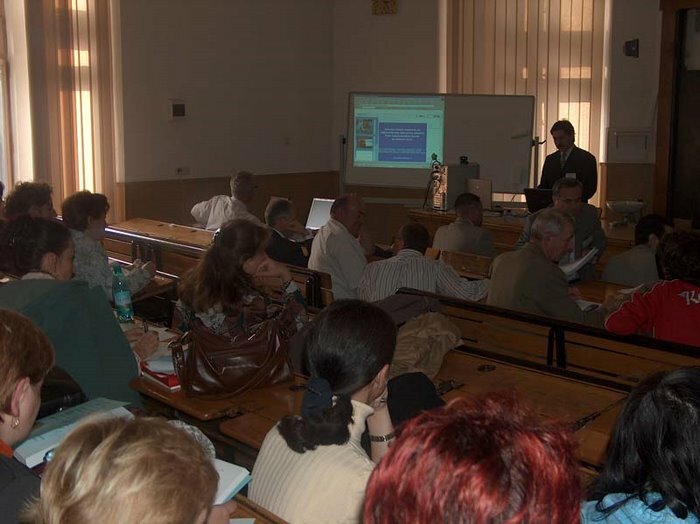 These seminars were a tradition learned from Moisil and from my Ph.D. supervisors Octav Onicescu and Gh. Mihoc. After some time the seminars were divided in two weekly sections: Stochastic modeling and simulation (coordinated by myself) and Theoretical problems of Computer Programming (coordinated by the regretted fellow Liviu Sofonea). One priority was to facilitate the access of students to use the computer, taking into account that preparation of programs (on punch cards) was not possible in the narrow environment of the Center. Therefore, two offices were organized, one in Soseaua Panduri and one in the Faculty of Mathematics. In 1976 the Center received a Romanian computer FELIX C-256 which made more attractive our activity for cooperation with various Romanian users. The staff increased by selection of graduates from the faculty but, unfortunately, the Government did not allow us to enrollee too many graduates. (Priority was to enrollee graduates in industry!) Anyway, the staff has grown little by little, such as in 1975 CCUB had more than 50 employees and by the middle of '80's the staff number was 78! In 1972-1974, some fellows of CCUB undertook specialization stages in USA, Switzerland, Austria and France and when coming back they were basic leaders in research activity, such as: Liviu Sofonea, Nicolae Popoviciu, Maria Lovin, Dorin Panaite, Matei Bogdan, Ioan Rosca and so on. I, myself, for several months in 1974 and 1976, was a visiting researcher at GMD (Geselschaft fur Mathematik und Datenverarbeitung) Bonn. As the expenses of managing a Computing Center were increasing at that time, in 1973 CCUB started to perform research activity and services under contracts. I must say that expenses of activities in the Center were covered by funds from contracts at least from 1973 up to 1991; the services for students became free. The research topics were various (see ). 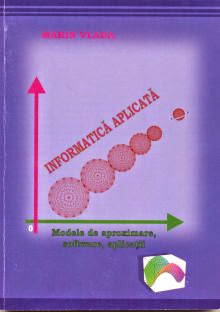 I mention some from the period of the seventies: simulation of mining transportation to achieve an efficient flow; simulation of flight of an airplane to achieve a given job; design of the simulation language SIMUB during 1976-1980 coordinated by me; (SIMUB=Simulation Language of the University of Bucharest); design of computer product PLUB during 1976-1980, coordinated by Liviu Sofonea; (PLUB=Programming Language of the University of Bucharest, used for generating compilers). 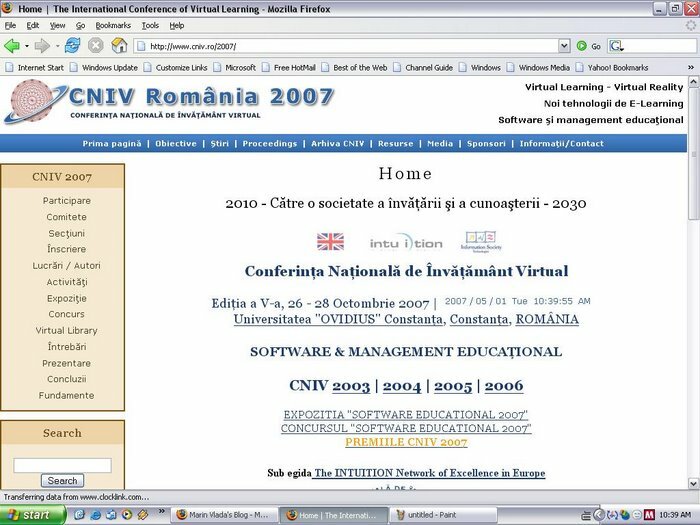 The latter two languages were designed for the Romanian computer FELIX. They were worked in cooperation with some staff of the Chair of informatics (Professors A. Atanasiu and Horia Georgescu and regretted O.Basca and N. Tandareanu); some performing students were also used. Starting 1974, the computer usage was highly increased due to new staff enrolled and due to good work done by colleague Dumitru Draghici. After 1970, the Center also organized free courses for people from Bucharest and the Minister of Education recognized the document which attested the graduation of these courses. Some of these graduates became later teachers in computing for Secondary Schools. Starting 1971, some staff from the Center (as Matei Bogdan and Petre Preoteasa) worked under the frame of Minister of Education for teaching special classes of computer science in some secondary schools of economics; graduates of these classes were very well appreciated as computer operators or programmers. CCUB also developed some significant activities in cooperation with UNESCO. Thus, in 1971, due to the contribution of Acad. Teodorescu, an International Summer Scholl of Informatics was organized at Mamaia-Constantza. Specialists or audients from Romania and from France, Italy, Germany and others, participated. The lectures were printed, being used afterwards as references. In the summer 1972 a UNESCO Round table on "Computer Assisted Instruction"= CAI was organized. It was the first event of this kind in the country. (On this opportunity was tested for the first time an air conditioning system!). By far the most important cooperation with UNESCO was The International Postgraduate Course "Informatics and Applied Mathematics for Research". There were nine annual editions of this course between 1973-1982. The UNESCO delivered each year 10.000 USD and Romanian Government offered 10 scholarships for participants from Developing Countries. The lessens were given (and written) in English and the teachers consisted of fellows from the Center or from the Faculty of Mathematics. The first semester was intending to bring up-to-date the students and the second semester consisted of two modules: Informatics and Applied Mathematics. There were participants selected from various countries such as: Syria, Iraq, Iran, Jordan, Egipt, India, Pakistan, China, Greece, Bulgaria, Poland, Bangladesh, Columbia, Brasil, Venezuela, Thailanda, Philipines, Costa Rica and so on. The course was also attended each year by at least 10 Romanian specialists. Among these, I mention some young assistants from the University of Civil Engineering (in 1982 was Calin Popescu Tariceanu), from Brasov, Pitesti and from Bucharest. 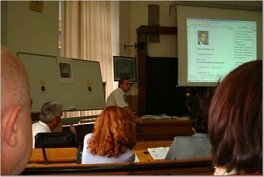 Many of graduates of this course continued Ph.D. programs under coordination of staff of the Faculty, including myself, or in other Institutes from Bucharest. Even if the course was appreciated by UNESCO and by the participants, it was stopped due to economic difficulties of Romania during the 80's. Unfortunately, Acad. Moisil died in 1973 (in Canada) and he was not able to enjoy the new results of CCUB, created by him. During the seventies, the Center was also involved in some cooperation activities between the so-called Socialist Countries. Thus, the Commission of Informatics of the Romanian Academy (lead by Acad. 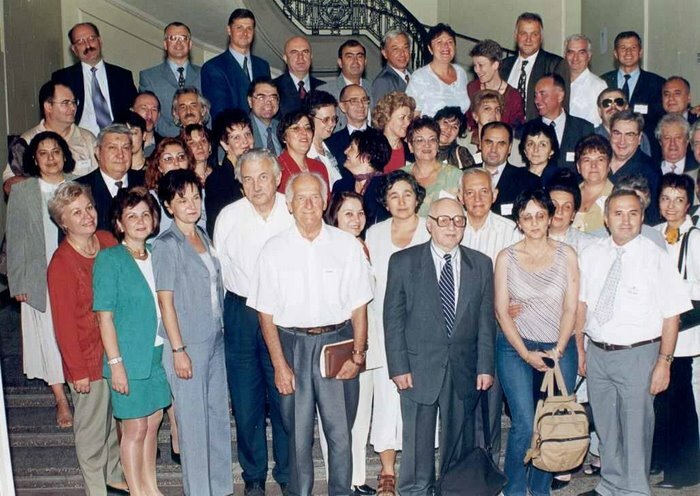 Tiberiu Popovici from Cluj, after the disease of Moisil) asked for the cooperation of CCUB for organizing the meeting between representatives of socialist countries which was held in Bucharest in the summer of 1976. I, myself, participated also, as a Russian speaker. The Minister of Education asked CCUB and the Computing Center of ASE to work in the Group of cooperation of Socialist Countries in the field of Education in Computer Science. The responsibility of this cooperation was for the Hungarian colleagues. Therefore, Dr. Bilciu C., from ASE (which now lives in USA) and myself, participated in annual meetings of the group in 1977-1979 in Szeged and Budapest, where interesting problems of the curricula in computer science were discussed. Unfortunately, we were obliged by our authorities not to agree with any of the interesting ideas, even they assumed no pledge. As the leader of the Romanian side, I was highly ashamed! During the years, the Center has done computer service and applied research for many units in the country such as: Factory "Electronica" and Factory IOR (which accomplished computerized management); some mining companies for which we performed research on using Geostati tics in estimating geological reserves (various appreciated applications re¬garding estimation of the various reserves of the country were obtained by Mircea Adam and Emil Perjeriu); optimization work for the huge project of sculptor exploitation in Caliman Mountains (which at the end the project was stopped by unknown reasons); an important statistical package for new drug testing (successfully designed by my PhD fellow Denis Enachescu). In the 80's, to an interesting project to manage the traffic flow of autos in Bucharest, participated successfully my Ph. D. fellow Gh.Petrescu. In 1976 the Minister of Education asked the Computing Centers of Universities to develop a program called SICAB for ensuring an efficient management of the education system. In this respect, an Informatics System for the personal used in education units of the country was designed. This system illustrated many discrepancies in the balance of academic staff (for instance, in the fields of Economics and Geography, the percentage of professors and readers was very high compared to the fields of medicine and mathematics). Because the admission in higher education was done at that time by means of strong competition (and in the case of faculties of economics and law, defalcations were discovered) we developed a computerized methodology for a safe processing of admission examination data which is applied even now as a rule. Many other SICAB applications were analyzed an applied over time, related to management of equipment and material in universities, computerized salary calculation and so an. One application was done in collaboration with the Romanian state TV; a weekly poll data was processed in order to determine the optimum TV time table. As it is known, at that time, the TV schedule consisted of only some hours in the evening and half the time was allocated to the Ceausescu family. But once, the result of processing showed that audience for the family was null, therefore the project was stopped until 1990 when Ceausescu's regime failed. In 1986, CCUB had to change its address. In the eighties, Ceausescu decided to build the huge Parliament House in a space close to Military Museum, an unit of national importance. This museum had to be moved. As the buildings in the neighborhood of the Center belonged to the Minister of Defense before 1956 (when they were temporarily borrowed by the Minister of Education), it was decided that we must be moved, for bringing Military Museum instead. There was a big problem to select the best space in the University, where to move the Center which, by that time, had two big computers, many terminals and quite enough staff. The best location for equipments should have been in the main central building of the university, where a big room was suitable for the computers. But this room belonged to the Institute of South-East European Studies. Some official from the University suggested that such a solution will bring some protest from Radio Free Europe, which at that time led a strong propaganda against Ceausescu's regime. Thus, the only location selected by the administration of the university was in the building of the Faculty of Mathematics from 14 Academiei Street, the rooms of the Dean's and Secretary Offices, and the big Council Room. This was an unfortunate situation for me: for many years I was criticized by the colleagues in the faculty that I damaged the tradition of the Faculty, because the administrative bodies were transferred in non usual locations. It is important to say that this action of moving the Center was very costly, but all expenses (including manpower) were ensured by the Minister of Defense. A problem was to move from Mircea Vulcanescu Street, the cooling fans, which had to be placed in the inner court of the building, very far from the air conditioning installation of computer room. The length of the copper pipes necessary for the flow of cooling liquid, was five times larger than in the old location. With the help of a lady programmer of the Center, whose husband was an influent person, we obtained the necessary copper pipelines for the cooling installation. (At that time copper was a metal as expensive as gold). As computers were installed at the ground floor, the offices of the staff were located at the top (i.e fourth) floor. One problem was also to connect terminals from the ground floor to the top floor, but with the help of a military specialist the problem was solved. At the top floor, there were previously some classrooms owned by the faculty of Physics, which moved already in 1971 at the Campus Magurele, so, we became the owners and the big rooms were divided in smaller rooms in order to be suitable for our staff. After 1986, the cooperation with the colleagues of the Chair of Informatics was improved. It was really an improved integration of the staff of the Computing Center with the practical activity of teaching students. But at that time, more effort had to be made in order to ensure the funding for the necessary expenses. (By the end of eighties, the economic crisis was effective in Romania!). During this period of time, two minicomputers CORAL and INDEPENDENT were installed, they increasing the research and teaching activity. 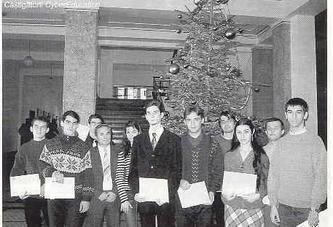 Tudor Balanescu, Gheorghe Marian, Denis Enachescu, Stefan Stefanescu, Florentina Hristea, Emil Perjeriu, Andrei Baranga, Mircea Adam, Rodica Niculescu, Victorina Panaite at our faculty; Gheorghe Petrescu, David Dumitru and Paul Radovici in University of Pitesti; Marin Vlada, Liviu Sofonea and Cornel Stanescu at the Faculty of Chemistry; Grigore Albeanu at "Spiru Haret University"; Nicolae Popoviciu (which makes me pleasure as being my first Ph.D. Student) at Military Academy and Hyperion University; Maria Tudor at ASE, Silviu Crăciunaş at University of Sibiu, Gheorghe Păun at the Institute of Mathematics of the Romanian Academy (IMAR) (now, Corresponding Member of the Academy at the Department of Information Technology), regretted Mihai Botez, went abroad (dissenting yet known of the Ceausescu regime); Petroniu Doina at Polytechnic-Bucharest; Matei Bogdan in the faculty of political sciences. The most part of the staff had obtained Ph.D. degrees under the supervision of Acad. Solomon Marcus, Prof. Leon Livovschi, Prof. Constantin Popovici and myself. Some of the former fellows from CCUB are working in Universities abroad such as: Radu Nicolescu in Aukland, (New Zeeland); Gheorghe Marian and Gheorghe Doina in Sheffield University (UK); Serban Gavrila-a programmer in USA. During the years, more those 50 fellows working in other universities of the country and more than 20 from abroad, prepared their Ph. D. theses in the Chair of informatics or in CCUB. 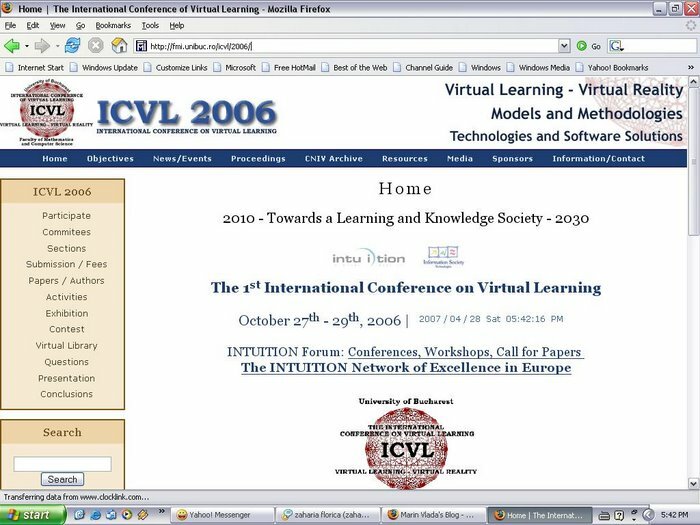 In august 1993, while I was a researcher at TH-Darmstadt , by a statement of the Chancellor of the University, Emil Constantinescu, CCUB was abolished and even quashed retrieving of computer equipments being close to nothing. (Hardware contained more than five tones of metal among which at least 150 kg copper, 2 kg silver and one kg gold!). I asked my¬self sometime whether the abolishment of CCUB is connected to my refuse to join the Parti of Constantinescu, Solidaritatea Universitara in 1991. Anyway, by abolishment, the Faculty recovered its tradition! In any other universities from the country, computing centers were preserved as research units. 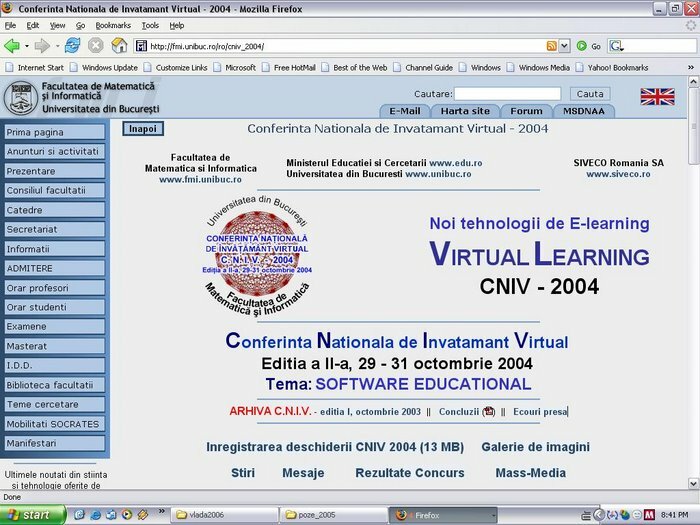 When I came back in October 1993, I created within the Chair of Infor¬matics a Research Center in Informatics which carried out contract- based research, using academic staff, until 2007 when I retired. This re¬search center still survives but does not have too much activity. The scien¬tific seminar Stochastic Modeling and Simulation, opened in 1972, was active monthly until 2011, when the last of my Ph.D. Student defended the thesis. A part of the auxiliary staff of former CCUB remained in the faculty to assist the activity of computer laboratories. I dare to think, that CCUB, which survived for 31 years (quite a long life in Computer Science), has given enough benefit to our society and that efforts of the staff was really useful. MOISIL, Gr. C. (2007). "Activitatea Centrului de calcul al Universității din București" în volumul postum "Grigore C. Moisil şi continuatorii săi",Ed.Academiei Romane, pp.133-155. MOISIL, Gr.C. (1970). "Contribuția românească la teoria algebrică a mecanismelor automate", AMC, 13-14, pp. 82-88. MOISIL Gr.C. (1971). 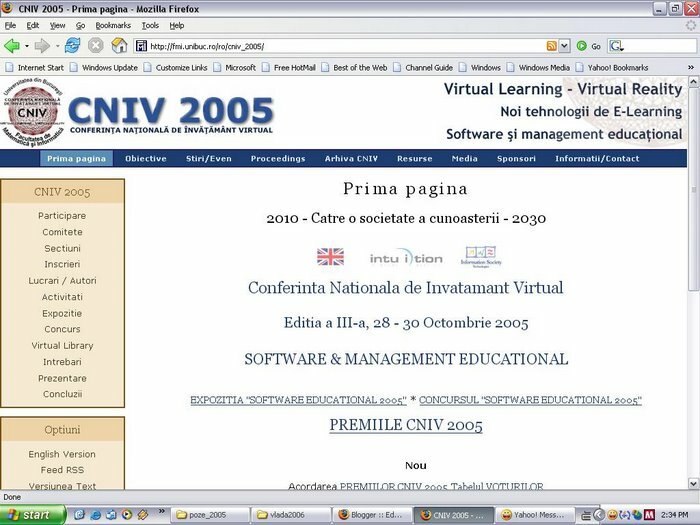 "Propuneri privind învățământul informaticii la Facul¬tatea de Matematică a Universității din București",Raport înaintat conducerii Universității, Nr.259/11.02.1071, 8 pag. MARCUS, Solomon.(1987). "Grigore C. Moisil și începuturile informaticii românesti", Lucrările Sesiunii ştiinţifice ale Centrului de calcul al Universității din Bucureşti, 20-21 februatie 1987,pp.23-26. Ce este un manual digital ?